The Northern Arizona University Women’s Soccer Elite ID Camp is for all 13 to 19 years old girls who aspire to play at the collegiate level. This 4-day elite identification soccer camp will run from July 5 until July 8. The camp’s goal is to provide the participants a glimpse of what it is like to be a high-level college student-athlete. In addition, it gears to improve the technical abilities as well as the tactical understanding of the players. It will also focus on enhancing the players’ dribbling, passing, defending, and attacking skills. Furthermore, competitive games are also in place to allow potential college athletes to showcase their skills. The venue of this camp is the South Fields and Lumberjack Stadium in Northern Arizona University campus. Northern Arizona University, originally Northern Arizona Normal School, is a public, coeducational, research university in Flagstaff, Arizona. It has an additional campus in Yuma. The university is part of the Arizona Board of Regents and it has an accreditation from the Higher Learning Commission. Moreover, Northern Arizona University is offering more than 150 academic fields of study. It is using a semester-based academic calendar. Currently, the university is serving around 26,500 undergraduate students and around 3,900 postgraduate students. The enrollment acceptance rate is 78 percent while the institution’s student to faculty ratio is 18:1. Additionally, Northern Arizona University fields collegiate sports teams in the Big Sky Conference of NCAA Division. The athletes’ nickname is Lumberjacks and their identity colors are blue and gold. The Lumberjacks women’s soccer team head coach is Andre Luciano. Under his leadership, the Lumberjacks women’s soccer has already a Big Sky Conference Championship and an NCAA Tournament appearance. Coach Luciano is the recipient of the 2013 College Sports Madness Big Sky Coach of the Year award. Then, the Northern Arizona University women’s soccer assistant coaches are Kylie Louw and Sam Monahan. Finally, the team’s volunteer assistant coach is Savannah Berry. 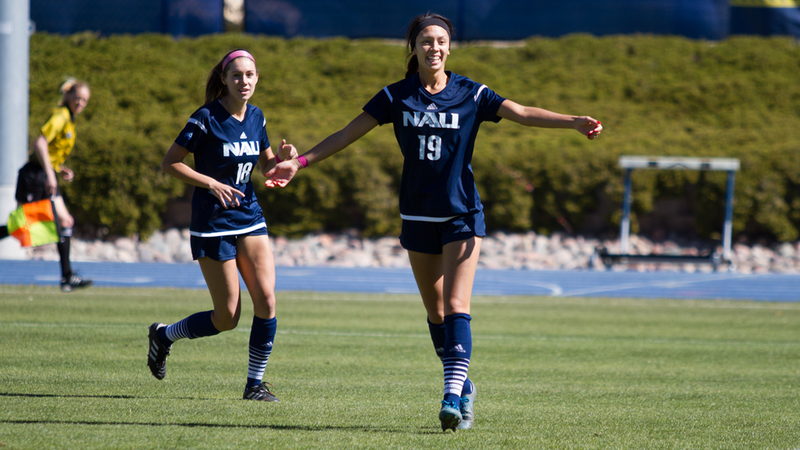 Join the Northern Arizona University Women's Soccer Elite ID Camp. It is for all 13 to 19 years old girls who aspire to play at the collegiate level.